We have to take the boat from stone town to prison Island. You have the opportunity to feed and pet the tortoises. In 1893, Lloyd Mathews built the prison. The prison idea was to send violent criminals from the Tanganyika mainland to the Prison Island. The Prison Island Earning its name as a former prison for slaves and a quarantine station for Zanzibar and the mainland, nowadays the island gives you the chance to escape for some peace and quiet. The island lies just off the Old Stone Town, it is also a home to giant land tortoises that were imported from Seychelles in the late 19th century. Now it is more commonly known as a home of Zanzibar’s Giant Aldabran Tortoise colony, some of which are over a hundred years old! This endangered species came to Zanzibar as a gift from the government of the Seychelles. Once on the island, you have the opportunity to feed and pet the tortoises, if you have time you may also like to take a stroll through the forested interior where you will see a wide variety of birds, colorful peacocks, bats, and beautiful butterflies. Keep your eyes peeled too for the shy and elusive Duikers – an unusual tiny antelope species. It is fringed with a beautiful coral reef, ideal for snorkeling, and has a lovely white beach for sunbathing. 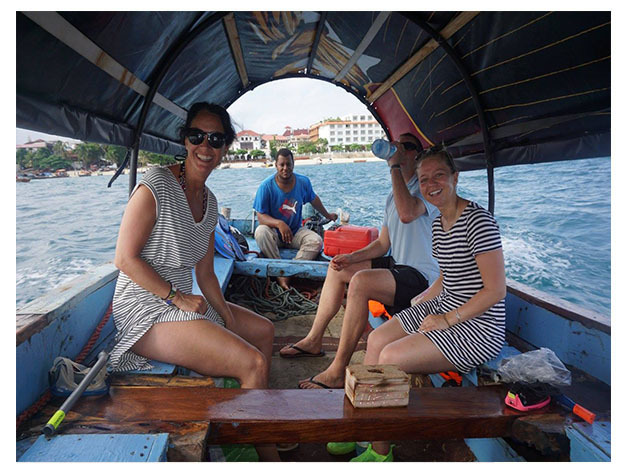 This tour is a great way to see some history and wildlife, and also to see Stone Town from the sea as many old maritime legends would have done.